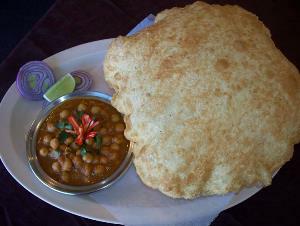 Chole bhature is a combination of chole (spicy chick peas curry) and fried bread called bhatura. 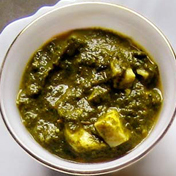 It is mainly eaten in especially in Punjab and north India. 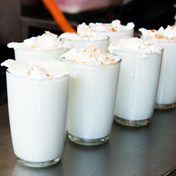 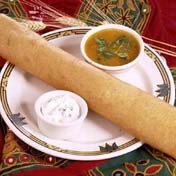 Now it becomes very popular in all over India as a street food. 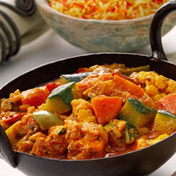 Chole bhature is traditional North Indian Punjabi classic cuisine. 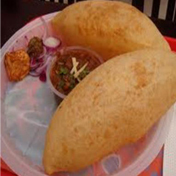 Bhatura is a soft leavened fried Indian bread made with flour, baking powder, oil and yeast. 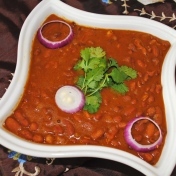 When fried, it puffs into a fluff and lightly golden Indian breadwhich served with white chickpea curry popularly called as Chole. 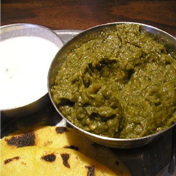 It is a heavy breakfast which is generally accompanied with raita or lassi. 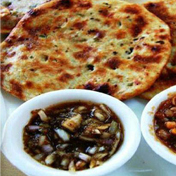 Chole bhature are served with onion, aachar and green dip. 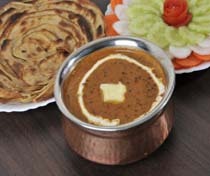 This time I serve chole bhature with dahi bhalle on very special occasion of Diwali. 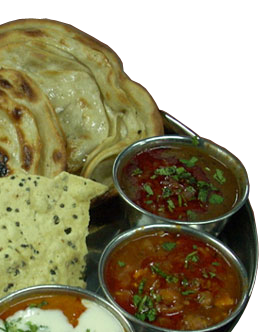 A complete meal for Punjabi thali. 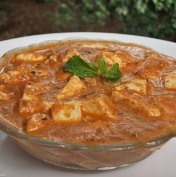 For this a great thanks to my lovely Mom.